But how do you know you’re doing SEO right? You track it. 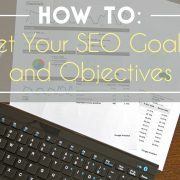 Knowing which SEO metrics to track can save you time and effort while improving your SEO strategy. To help you start off on the right foot, we’ve compiled this ultimate guide. Below, you’ll find 15 must-track metrics. 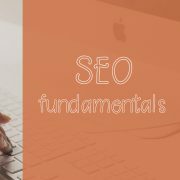 We’ll explain exactly what the metric can tell you about your SEO strategy and tactics. 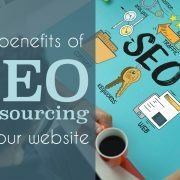 Keep reading to make the most out of your search engine optimization efforts. Now you know you’ve got to track. 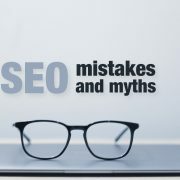 But how to measure SEO results isn’t only about what to track, but where and how you track it. Before we get into the metrics you need to pay attention to, we want to make sure you know where you can get this data. Google Analytics is a must-have resource. Get familiar with the dashboard and the different filters you can apply. 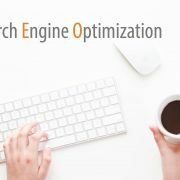 This tool will show you how your site is performing for search engines and users–and it’s free. Google Search Console is also an important place to start. This will show you how your site is crawled by the Google Bot. This is also where you’ll submit a sitemap of your site. PageSpeed Insights by Google is another useful free tool that shows you how long it takes for your website to load. We’ll get more into the importance of tracking this particular metric soon. There are many other tools available to you–some for free, some for a fee. It’s up to you which tools you use to track and record your metrics. And now, without further ado, the 15 metrics you absolutely must track. Of all the SEO performance metrics on our list, this is the one most people think of when they think of tracking. This shows you how much traffic you’re getting for free; that’s what organic traffic means: You’re not paying for it. You’ve probably seen search engine results pages (SERPs) with sponsored links on the top, bottom, and side of the list. The layout and placement of these sponsored links can vary by search engine. Traffic generated by these links is not organic. But there’s still plenty of room on page one for organic placement. When you track organic traffic, make sure you’re looking at this data segmented by landing page and by user location. Organic traffic is one of the best metrics to get an overall view of your SEO strategy’s effectiveness. Another key factor when you’re monitoring SEO performance is your bounce rate. The bounce rate refers to users that visit your webpage and leave it again. Imagine you’re website is a tennis court. Your users are tennis balls. Every time a ball bounces out of bounds, the user is leaving your site. Your bounce rate calculates how many user tennis balls are going out of bounds, or off your site. Obviously, a lower number is better. If your bounce rate is higher than 75%, that means more than three-quarters of your users are leaving your site without exploring it. Blogs with infinite scroll and full-view posts may have higher bounce rates; this is okay. A bounce rate of 0% indicates a problem as well because there’s something wrong with the data; no one really has a 0% bounce rate. You should track your bounce rate by landing page. Google is a major player in SEO, but don’t forget about Bing: 24% of search engine share was claimed by Microsoft as of April 2018. In other words, nearly one quarter of all searches took place using Microsoft. Make sure you don’t ignore other search engines in favor of Google. An exit page is the last page on your site a user views before they leave your site. This is one of the most important search engine marketing metrics because the exit page is usually a problem page. Check that your content is engaging and look for a clear user flow. 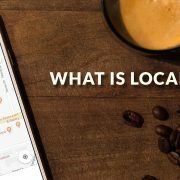 Local SEO is an important element of SEO for businesses that have brick-and-mortar or local interests. 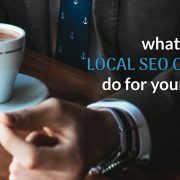 One of the best ways to check your local SEO effectiveness is to conduct a search and see where you place. 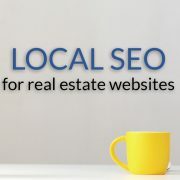 You want to be in the local 3-pack, the listings that appear with the map on Google’s SERP, for your niche keywords. Also, search for your city or town along with keywords specific to your industry. If you’re on page one, your local SEO is strong. Showing up on page one of SERPs is an achievement worthy of celebration–but if no one clicks on your link, it’s useless. Your click-through rate (CTR) tells you how attractive your SERP listing is to users. If it’s low, you might want to revisit your title tag and META description. Make sure you track your CTR by both top keywords for your industry as well as your landing pages. 53% of mobile users will leave a page if it takes more than three seconds to load. Page loading speed matters and you should track what it is on your site. High page load speeds can increase your bounce rate, so if your bounce rate is soaring, this is something to check. If your page takes a long time to load, fixing this can be tricky. It’s highly technical, so it might be time to turn to a professional SEO consultant. The amount of time a user spends on your website or web page can tell you a lot about user intent. If they only stay on page for twenty seconds, they’re not intending to convert–maybe they’re just looking for a brand that speaks to them. A user who spends three minutes on your page is much more likely to convert. Pages that inspire longer times here are generally more engaging. If a page on your site regularly garners low times, you may want to revisit the content or its placement in the flow of your site. Your returning visitors are your most valuable visitors because they’re most likely to convert. If your site is new, you probably won’t have a lot of them. But if not, you should start to see some increase in this metric. When a user looks at every page on your website, they’re getting to know your brand. They’re spending more time with your brand and therefore, they’re more likely to trust your brand and convert. Tracking your pages per visitor stat can help you determine also how usable your site is and whether your internal linking is effective. You’ll be able to find new potential relationships. You’ll be able to assign a cost for each link. You’ll be able to determine whether your back-linking tactics are successful. If you know about content marketing and SEO, then you already know that duplicate content is never something to engage in. Duplicate content decreases authority and can therefore limit your SERP rankings. But often times, people don’t think about their titles and descriptions. This data shows on the SERP itself, and when your title tags and META descriptions are duplicated, it’s confusing for users and search engines. How many of your pages are indexed? How many does a search engine crawl? On Google Search Console, you can track this. If your pages aren’t being indexed, they won’t appear in SERPs. Sometimes, you need to kickstart indexing manually. To do so in Google Search Console, use the Crawl> Fetch as Google link. Tracking which keywords you’re ranking for is crucial to determining your SEO strategy. You can also track the number of keywords your site ranks for in a search engine. You’ll need to use a keyword tracking tool for this metric. If you want to be successful at SEO, you’ve got to track SEO metrics. These 15 metrics will help you shape your strategy and tactics to increase search engine visibility–and hopefully traffic and conversions–for your website. If you have questions about how to track these metrics or SEO in general, feel free to drop us a line. We’d love to help your website get noticed.